bird migrants as a family, much as we do now. Side Notes: A big shout-out and thank you to Bobbi’s Blog for spewing forth such positive, thought-provoking blog content, particularly quotes like the one borrowed here. I am still hip-deep in finishing the kids’ first virtual school year — early, no less! 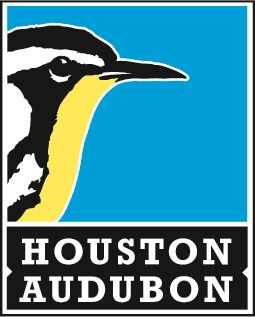 For my awesome birder following, this year’s birding excursions are linked at the end of the Birding Year 2015 page for a quick-get; the list is kept current. 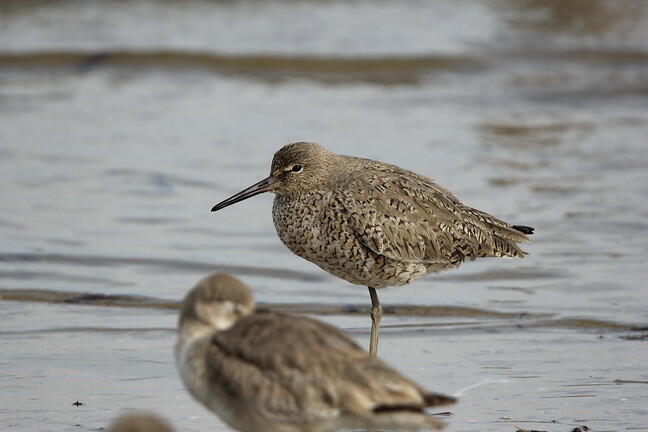 The previous coastal birding adventure was posted here nearly a month ago, but this is within the same time-frame. Click any underlined links to be taken to related content, click photos to see larger images in SmugMug. 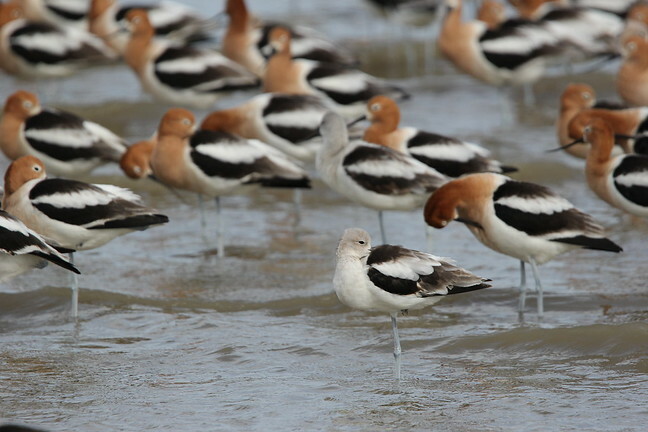 The American Avocet were flocking in numbers we’d not seen before since we began birding last year. 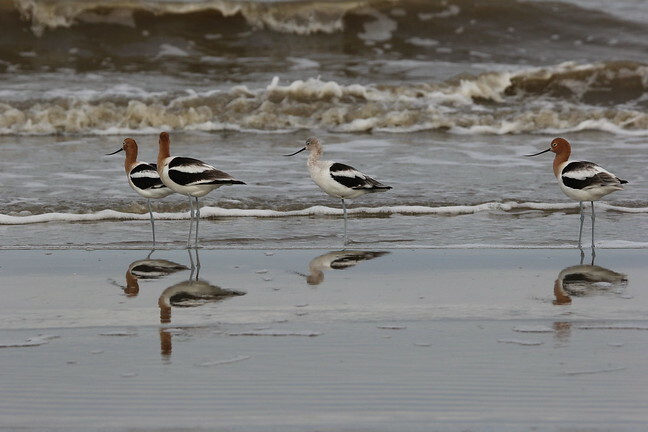 Huge groups moved simultaneously between what were either nesting or breeding grounds deep in the dunes, to feeding shallows in the surf, and back and forth again and again. 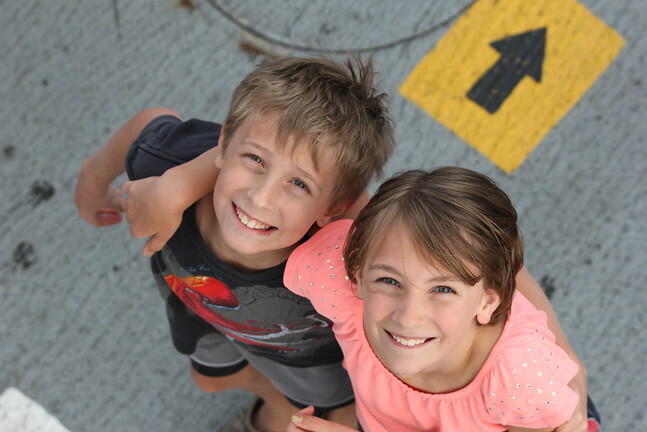 The rushing, whirring sound they make when flying a few feet overhead of us was exhilarating — I didn’t want to leave. This species may be one of my top favorites for breeding plumage change-out, molting the bright white head and neck feathers for a rusty-brown breeding look. 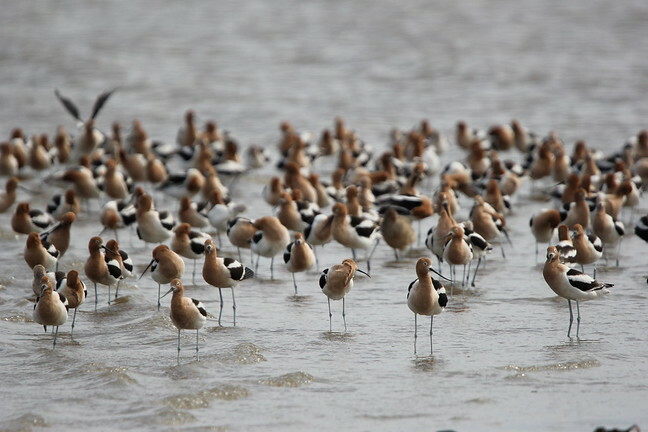 Bolivar Flats is a great place to escape people and chase and observe water birds in their natural environment. There are no vehicles allowed on this section of beach, and one can wander for hours without running into any of the non-feathered two-legged species. The last time we came to this birding hotspot was a full year before, during the spring migration of 2014, which was also our first with spring migrants. 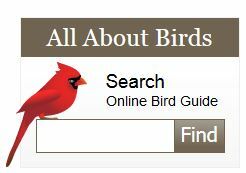 A beginner’s lack of experience resulted few birds for our list. We hoped it would be different now. With only a few hours to spare, we spent the bulk of our time in Boy Scout Woods to the south. People come here from all over the world, as marked by the ‘NO VACANCY’ signs at every beach house, motel, or B&B in the immediate area. 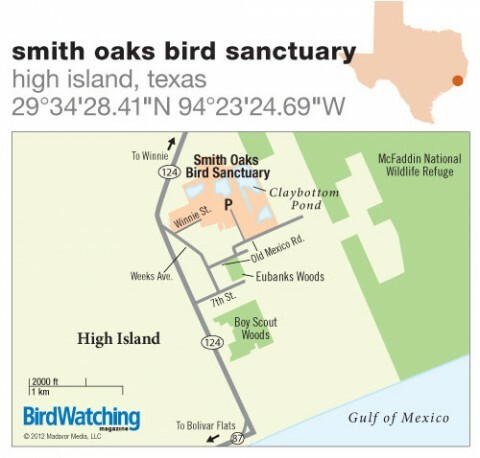 You can detect localized accents from the UK and beyond, many of whom come from that far away just to see with their own eyes the neo-tropic migrants in one of the busiest North American flyways. It is most certainly something to be witnessed first-hand, not read about on someone else’s blog. Serious birders are only geared with binoculars and a couple of field guides, but there were many like me equipped with cameras as well. On the way in, we watched in horror as one poor chap dropped his expensive camera/lens when it suddenly became disconnected from the tripod balancing over his shoulder. Crash! it went straight down to the pavement. My heart sank as I helped him pick up the carnage. I felt compelled to give him a huge hug and wishes that everything was still operational. In Texas, all things are made better with a big body-squeeze by someone who cares — strangers or no. If you’re not into that, don’t come to Texas. Before even entering the sanctuary, there was noticeable bird activity in the bottle brushes and mulberry trees of the yards in the area. 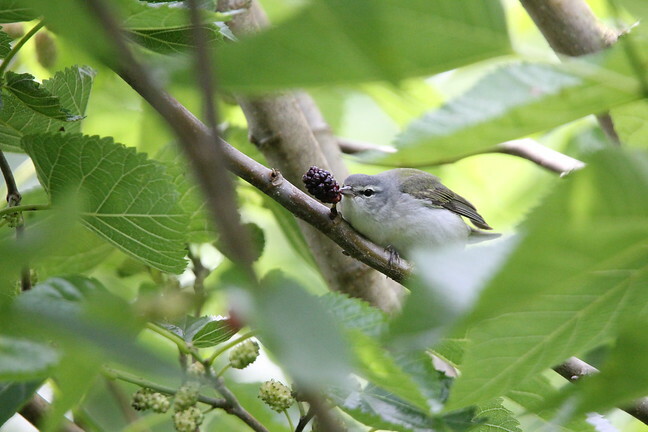 We finally eye-balled a beautiful Cerulean Warbler, after only hearing him just days before somewhere else. Huzzah! Several other warbler varieties, orioles, and buntings had amassed upon the fruits there, but taking pictures is tricky with thick foliage in the way. I switched to the manual focusing ring, something I’m not inclined to do from a handheld posture with a heavy 600mm lens, neck cranked upward. I can certainly see why the veterans carry their tripods. Ugh. I, thankfully, have a very good chiropractor. Once inside, the lighting was less-than-optimal for photography. I all but put my camera away and placed the more reliable field lens into my hands instead. I would need my old eyes and complete mental faculties for ID’ing birds; I didn’t want to burn up mental energy messing around with camera settings to take ‘good’ pictures. 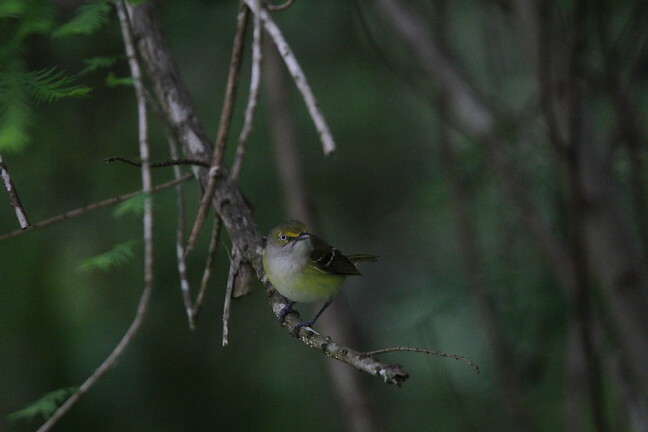 Thankfully, this White-eyed Vireo came to say hello to me. Well, okay, just one more. The kids are all marvelous birders by now, you probably already know. This day, several birders — including us — were working to positively ID what appeared to be a waterthrush (warbler family) foraging in the dark under-story. It’s a team effort as every person gets a different perspective depending upon what he sees from his position: head markings, behavior, body shape, beak. Is it the Louisiana Waterthrush? Or perhaps it’s the Northern Waterthrush? No one could definitively argue one way or the other, and since neither one looked right to me, I refrained from saying anything at all. I simply have no field experience with either. They were intent on their game. Scottie sauntered up to the perplexed crowd of adults, field lenses up to his face. “That’s a White-throated Sparrow,” he said matter-of-factly within a few seconds. He walked away, off in a flash, chasing something else. That boy. Who is this kid? What the heck does he know? they appeared to be thinking to themselves. The squabbling between them commenced about which waterthrush it was, brushing off the boy’s ID entirely. We knew better. Knowing Scottie like we do, knowing how his brain works, we switched gears. We closed the ‘warbler’ section up and began pouring over the ‘sparrow’ as a possibility instead. We listened intently. The bird was singing softly to himself, but it was difficult to hear with the hushed hubbub of the crowd. Delighted that they had all agreed on and all penned a Louisiana Waterthrush on their lists, they hurried off to the next bird. Silence settled back in. I decided to try something. I learned a month before how to mimic a bird — a Canyon Wren — with his own song, successfully calling him up in his nesting area. It worked so well then, perhaps it could work here. I whistled the White-throated Sparrow song, which I had just listened to in a bird app on my phone. I kept whistling, even as onlookers gave me sideways glances. Never mind them. The bird however appeared to be listening to me, hopping closer to my sound. Then he sang a back. He hopped up off the floor and into a tree just to the front of me. 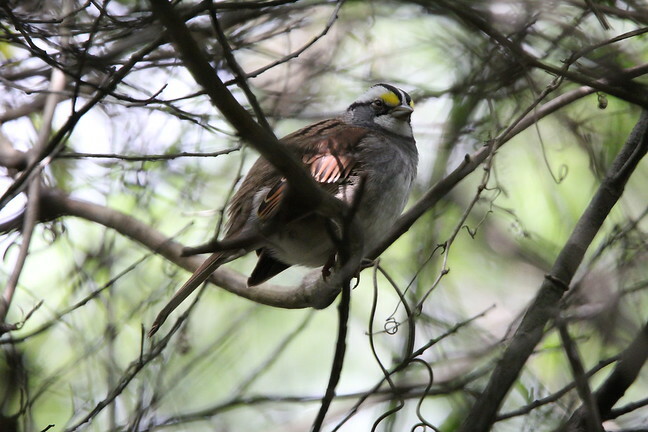 Truth be known: White-throated Sparrow. This particular bird was the single one of his kind to be spotted at the sanctuary that day. It was rather fun showing this picture to all the other birders as we found them along the paths. As proud parents, we were sure not to miss a single one. And so, alas, another great birding day and spring migratory season comes and goes. We’ll ramp it up again in the fall when they reverse direction. In the meantime, we’ll focus our attention on the backyard varieties here at home. Perhaps studying is in order if we aren’t to be outdone by our kids again. In case you forgot, We ♥ Birds. What have your kids done lately that simply amaze you? 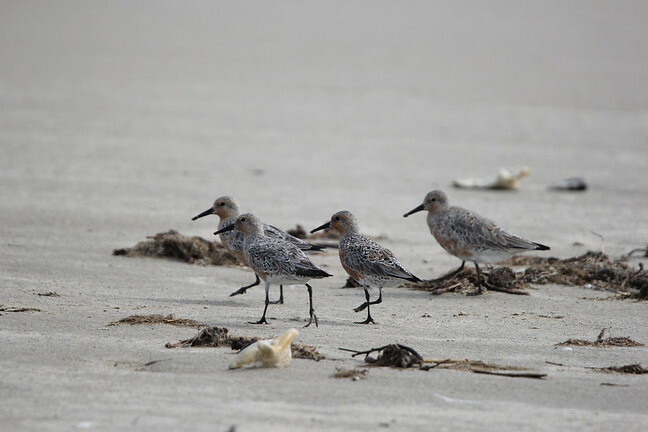 This is a beautiful post and the photos are wonderful, especially love the shorebirds! I have to put this place on my list. Love to hear you sing with White-Throated Sparrows, I have found them to always be willing to trade licks with me. And they improvise, they try a new phrase and see if I whistle it back. Great fun! All these images are so beautiful 💕🐥 Great post! Enjoy your blog–glad I found it. The child’s quick and accurate ID matches my experience. A child once pointed out to me an American Bittern, one of the few times I’ve seen that bird. 204 is an amazing day list–most be a great hotspots. Nice to have you here. That 204 is a year list. We aren’t quite ready to count day tallies yet, but soon. Hoping to do some more birding by month’s end before it gets really hot. It’ll be in the 100’s soon. Cheers! 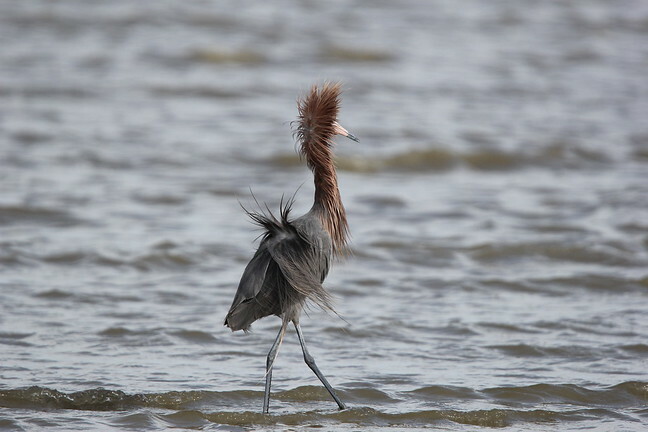 The reddish egret looks like it red a Chinese cookie and had an epiphany, the white eyed beauty was so much for the soul to handle. Such demanding eyes! Of course you ve started mimicking birds Shannon. You totally should 😀 I do the worst impression of a hill mynah. Let’s record a mixtape sometimes. You do the bird sounds, I ll rap poorly! I wish that I had recorded the canyon wren that I called up in Colorado. That was spectacular indeed! My whistling was pretty good, and passersby thought it the most awesome sight that a bird would respond to me. As for this guy, I may have cheated a little bit. Just to be sure I was whistling the right tune, I played the recording on my phone up to my ear — I think he liked that one better. As for the egret, he was much too intent upon keeping the seagulls at bay. I do have some shots of him hopping over to peck at them and chase them away, but they’re not ‘that good.’ Perhaps I’ll pull them out for a future post. Love your comments, Christy. You have such a craft with words. Beautiful photos! What a great post! I appreciate that comment, wsteele80. So glad you enjoyed. We sure did! 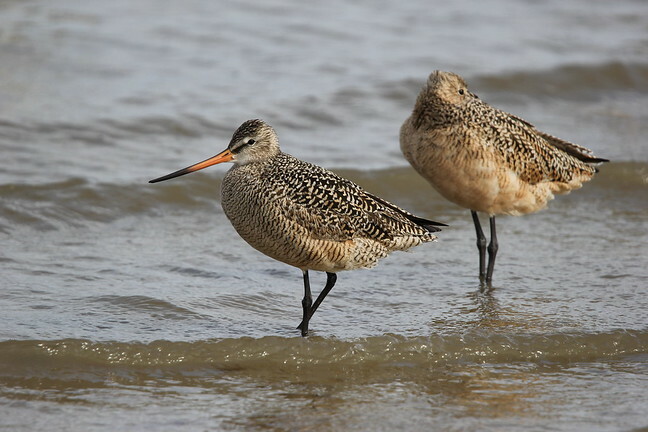 Great birds, great photos, great write-up. Nice post! !